Our mission: To make sure the words “I’m bored” are never muttered while you and your family are visiting (or living in) Phoenix. That’s why we’ve rounded up this handy guide of family-friendly activities, including water parks, hands-on cultural centers, wildlife zoos and more, to keep you busy any time of the year. This museum is a great option for children as young as infants and as old as 10. The historic Monroe School Building is home to more than 300 play experiences where kids are encouraged to touch everything and explore their imagination. Children can explore the many different exhibits, including the Art Studio, Book Loft, Building Big, Texture Cafe and Noodle Forest. The Phoenix Art Museum is the Southwest’s largest art museum and home to 17,000 works from around the world. Start your family visit through the museum’s collections by picking up a Scavenger Hunt guide from the front desk. This one-of-its-kind museum is a hit with kids and adults alike. 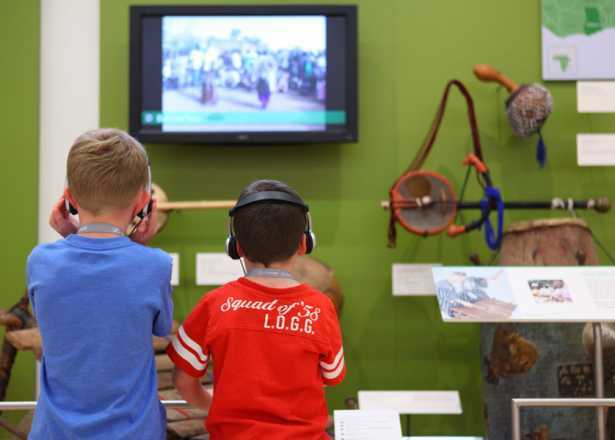 In the Experience Gallery, guests can play instruments from around the world and learn how they are made. You can even see instruments from music icons like John Lennon, Taylor Swift and Elvis Presley in the Artist Gallery. The Heard Museum’s galleries showcase the diverse history, culture and modern art of American Indians of the Southwest. Kids can get creative in the It’s Your Turn: HOME Studio, which encourages cultural understanding through take-home crafts based on museum exhibits. 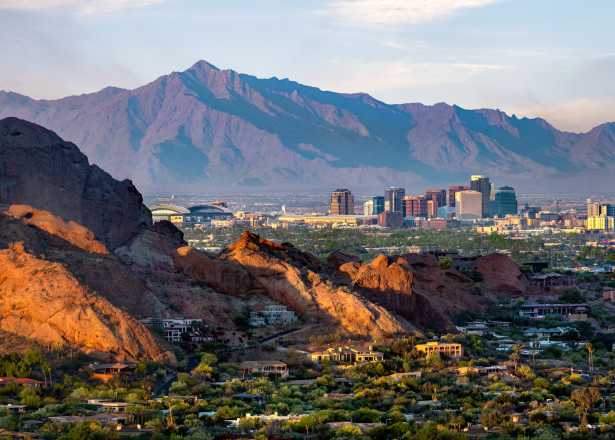 The Arizona Science Center has more than 300 hands-on exhibits, a five-story IMAX Theater and a state-of-the-art Dorrance Planetarium to entertain and educate all ages. Among its permanent exhibits, the Arizona Science Center features special exhibits that vary every few months. The i.d.e.a. Museum’s three main exhibit areas and special galleries encourage kids to explore their imagination through design, science and technology. Toddlers and crawlers up to age five will love the soft sculptures of ArtVille, while older kids can doodle, dance and design in the HUB. Explore Arizona and the Southwest from the creation of the earth 4.5 billion years ago to modern day. See some of the biggest dinosaurs that ever lived in Dinosaur Hall, and pan for gold (or get thrown in jail) in the History Courtyard. Pueblo Grande Museum is incorporated in a 1,500-year-old archaeological site, the largest in Phoenix. A trail takes guests through a prehistoric Hohokam village, featuring an excavated platform mound, ballcourt, and replicated prehistoric houses. Children are able to participate in hands-on activities to learn about the science of archaeology. The Phoenix Zoo offers families the opportunity to see wild animals up-close and personal. Watch as Sumatran tigers roam the savanna, feed towering giraffes at the giraffe encounter and witness Asian elephants play in a watering hole. The zoo also features a monkey village, safari train and stingray bay. Kids can even splash around in the Yakulla Caverns or Leapin’ Lagoon from March-October. Experience Africa in the heart of Arizona. Tiger Splash gives you the chance to see Bengal and Siberian tigers interact in a predator-and-play relationship, romping and splashing in a large pool. The Giant Snake Show teaches kids about various giant snakes and guests can even touch and hold some of the largest species. Hitch a ride on the African Bush Safari Tour to get an inside look at the animals and their habitat with a 40-minute narrated tour. At SEA LIFE Arizona, guests can interact with creatures in touch pools and encounter over 5,000 sea animals, including sharks, rays, seahorses and tropical fish throughout the aquarium. The 360-degree ocean tunnel is an experience unlike any other in the desert. Wildlife World Zoo and Aquarium is home to a 15-acre safari park with more than 600 exotic and endangered species and diverse water life in a four-building aquarium. If cute and cuddly is your thing, make sure to stop by the Baby Animal Nursery to see the new resident babies. The park is also filled with fun rides, including a tree-top skyride and safari train. Dive into an underwater world with penguins, otters, sea turtles and a variety of fish from around the globe. The state-of-the-art aquarium features some exciting ways to get up-close with aquatic life, including a submerged escalator that descends through a deep-ocean tank, a Living Sea “carousel” viewing experience and a shark exhibit viewable from the bathrooms. The hours for each park vary by day and season. See their websites for more details. Six Flags Hurricane Harbor Phoenix features over 30 water slides and attractions including Maximum Velocity, the first and only ride of its kind in the world. This coaster allows guests to race in tandem tubes down two slide tracks with over 830 feet of drops and curves. There are plenty of attractions for younger kids, as well: Went ‘n’ Wild Jr. features a pint-sized water park designed for kids and their families to play with water toys, splash through spray zones, and slide through various water attractions like the Tiny Typhoon. The Sunsplash water park features a wavepool, a lazy river, rock slides, a toddler play pool, and seven thrilling attractions. When you are done soaking up the rays and getting soaked, head to Golfland to enjoy bumper boats, laser tag, miniature golf, and choose from over 200 games at the arcade. Waikiki Beach Wave Pool is ranked the third largest in the country, holding more than 2.5 million gallons of water. Guests can rent rafts, surf boards or boogie boards and enjoy waves that are produced every three minutes. Big Surf features seven slides and a Kool Kids Zone that has a climbing area and slides for kids 48 inches and under. 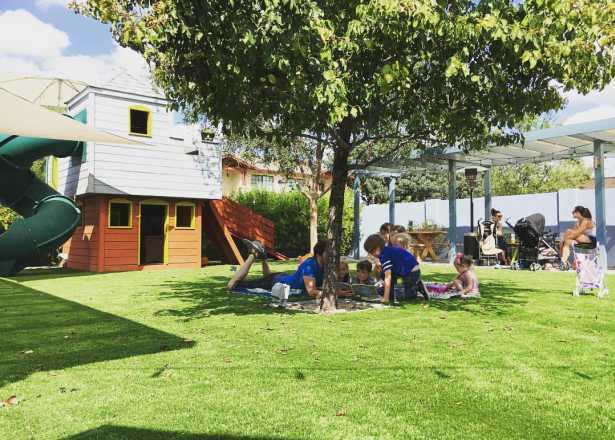 Named as one of the Top 12 Best City Parks in America by Forbes, Encanto Park offers families nine rides and a variety of popular attractions geared towards kids aged one to ten. Guests can enjoy the historic Encanto carousel, bumper boats, splash zone, kiddie cars, pedal boats, and mini-coaster. Enchanted Island also has the C.P. Huntington Train, which takes its guests on a seven-minute tour of the island. Take a trip back into the 1800s when gold mining and gun fighting was the norm. Goldfield Ghost Town is Phoenix’s only authentic ghost town that offers guests the chance to learn about the past and enjoy some great entertainment. Witness an Old West gun fight performed by the Goldfield Gunfighters, pan for gold, and take a ride on Arizona’s only narrow gauge train. You can even take an underground guided tour through the mines or a jeep tour across the scenic Apache Trail. The Desert Botanical Garden is the world’s largest collection of desert plants, on display throughout five thematic trails to demonstrate conservation, beautiful desert wildflowers, desert living, and the flora and fauna of the Sonoran Desert. Guests can also enjoy exhibitions and shows that vary every few months. Thousands of butterflies from around the world fly freely around a magnificent rain forest environment. Experience a monarch butterfly’s journey in the 3D theater, watch wings unfold before your eyes during metamorphosis in the Butterfly Emergence Gallery, and stroll through a 10,000-square-foot atrium as butterflies take rest on your shoulder. You and your and little farmers will love getting acquainted with donkeys, sheep, bunnies, cows and more at the Superstition Farm’s petting zoo. On special Farmer’s Market days, bring your shopping bag and take home fresh milk, ice cream and produce. Don’t miss grabbing a bite from a food truck and taking a hayride tour. Tip: Guests can hand feed rescue animals and hold chickens for a small price. Come pick the perfect peach or scoop up strawberries in the farm’s orchards and gardens. The Country Store & Bakery offers homemade treats and a shady spot to relax and enjoy the fresh air. On special event days, families can enjoy live music, carousel rides and hay rides, and much more. Kids will love a spin around the park on the Paradise and Pacific Railroad, or picking a pony on the beautifully carved and restored Scottsdale Charro Carousel. The park also displays railroad engines, a baggage car from 1914, a machine shop, and the 10,000-square-foot Model Railroad Building filled with artifacts. If you’ve got a LEGO architect, bring them to this massive indoor playground to run wild among massive LEGO reproductions of global landmarks, enjoy rides and get creative with thousands of bricks. Parents of restless children and picky eaters, rejoice! We&apos;ve rounded up the top spots to grab a bite with the whole family. Find activities and attractions that entertain both parents and children alike with this four-day itinerary.